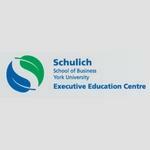 Schulich Executive Education Centre, located in Toronto, ON, provides business training programs and courses designed to incorporate collaborative learning, customization and new technologies, while maintaining the highest standards in business education. In every Schulich Executive Education Centre course and program, participants learn from the world’s leading educators and business thinkers. Products Carried: Schulich Executive Education Centre in Toronto, Ontario offers world-class business training programs and courses that provide business professionals with a learning environment that is focused, practical, and immediately applicable. Professionals can select from a wide range of relevant business topics and Schulich Executive Education Centre’s faculty is drawn exclusively from both practitioners and academia.